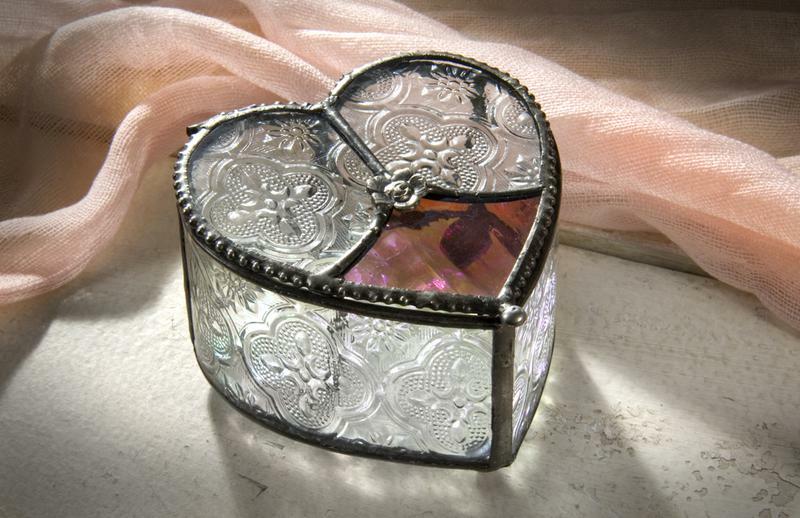 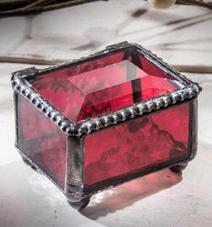 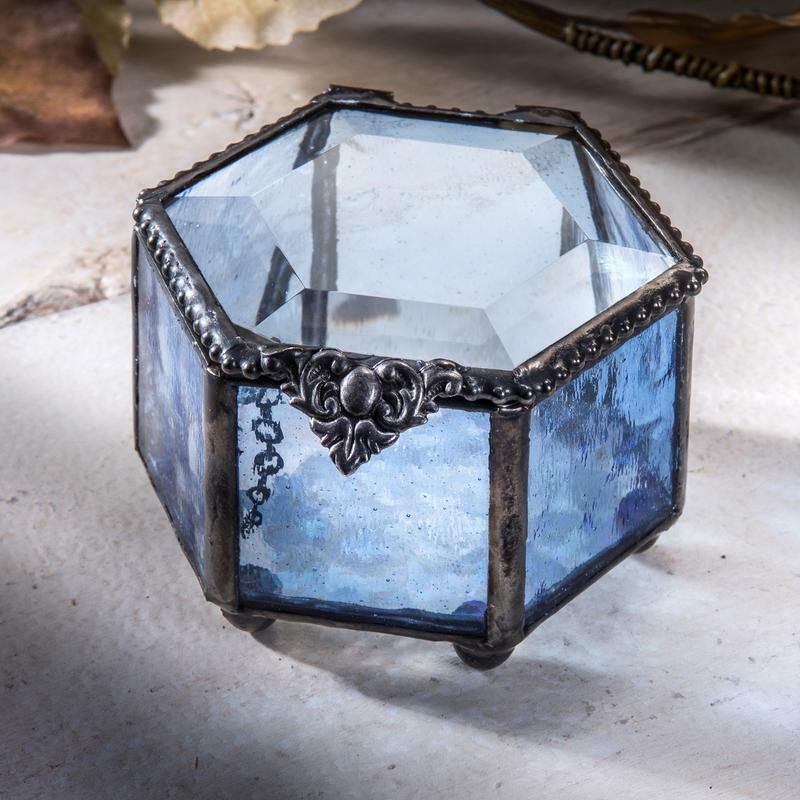 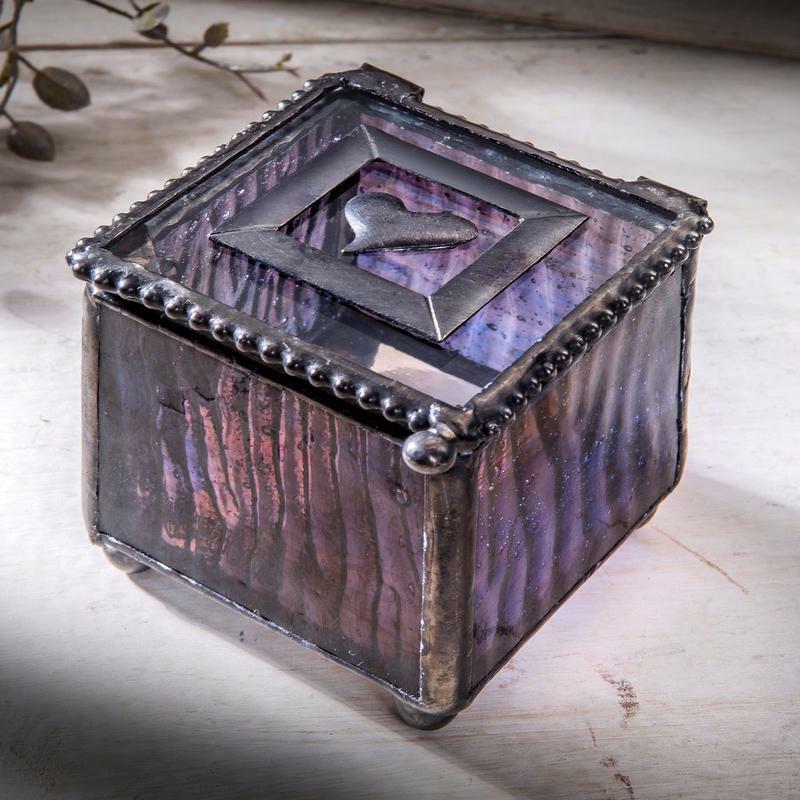 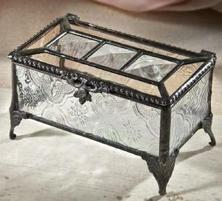 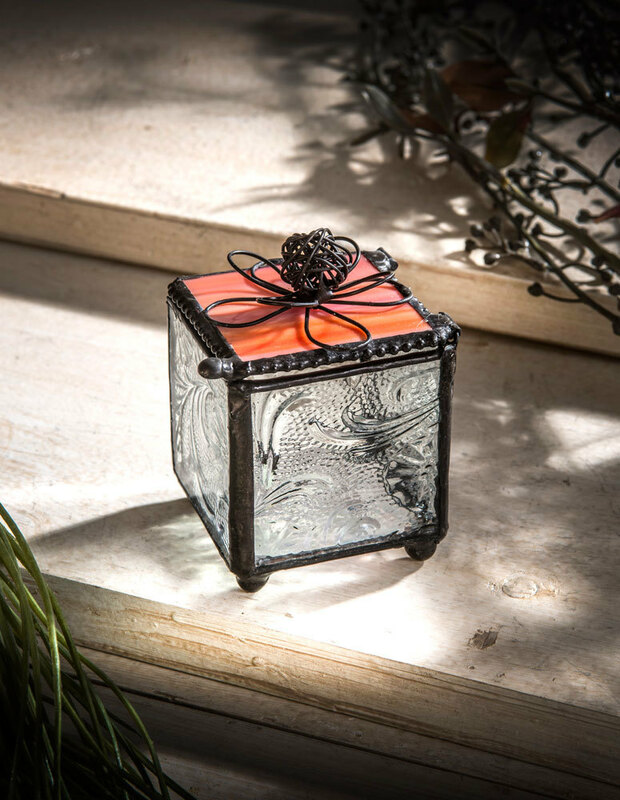 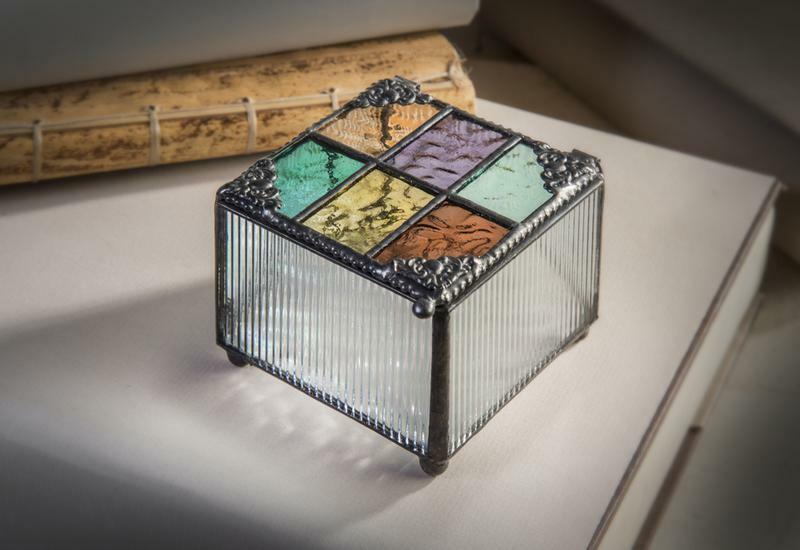 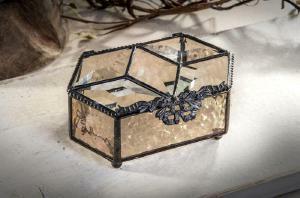 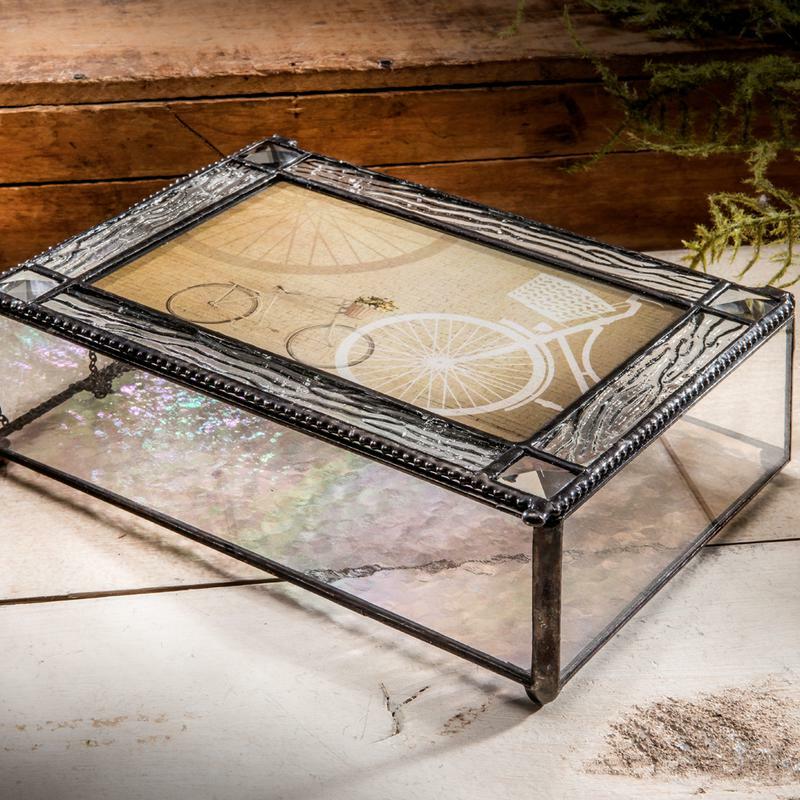 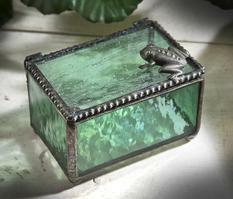 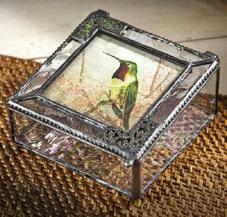 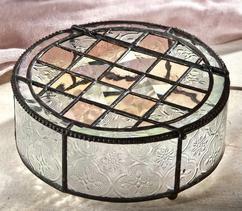 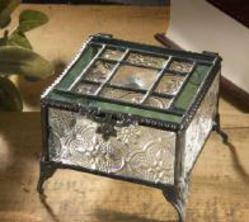 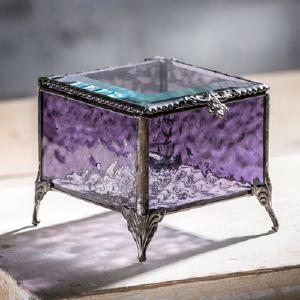 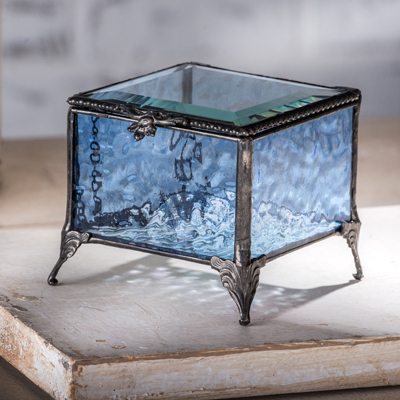 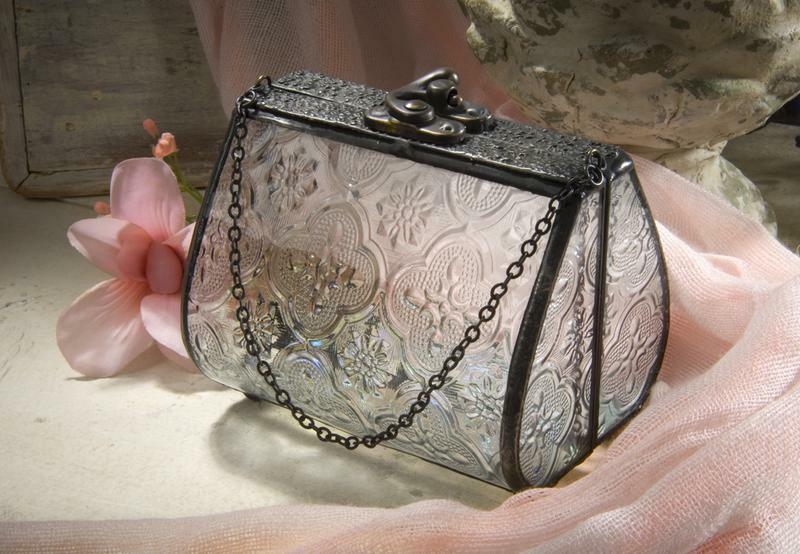 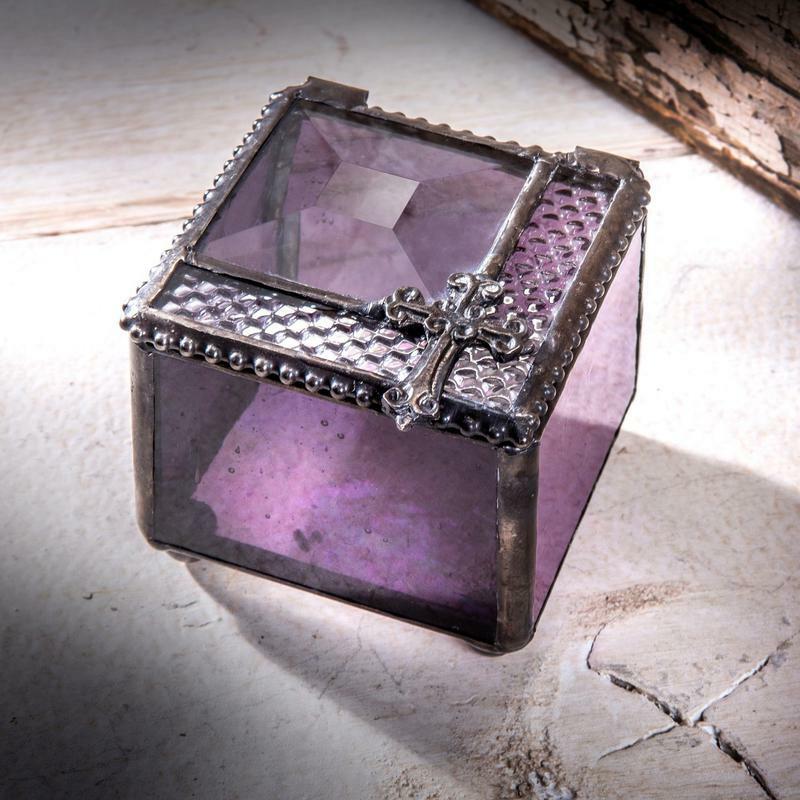 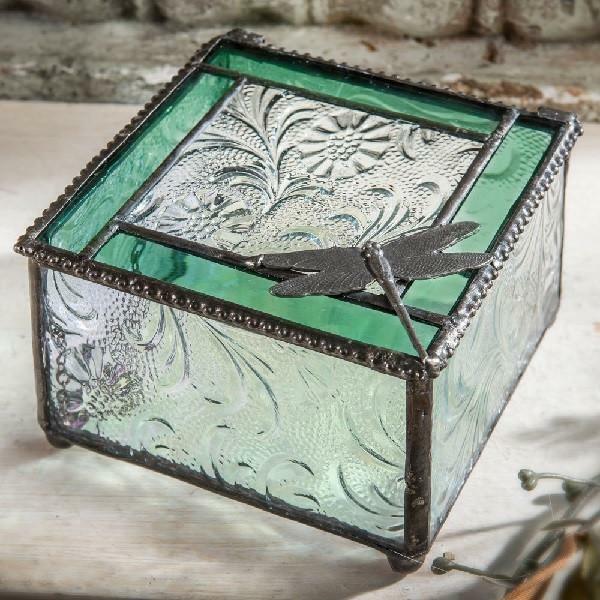 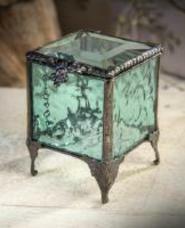 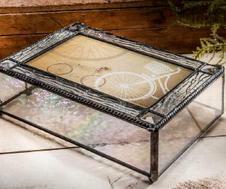 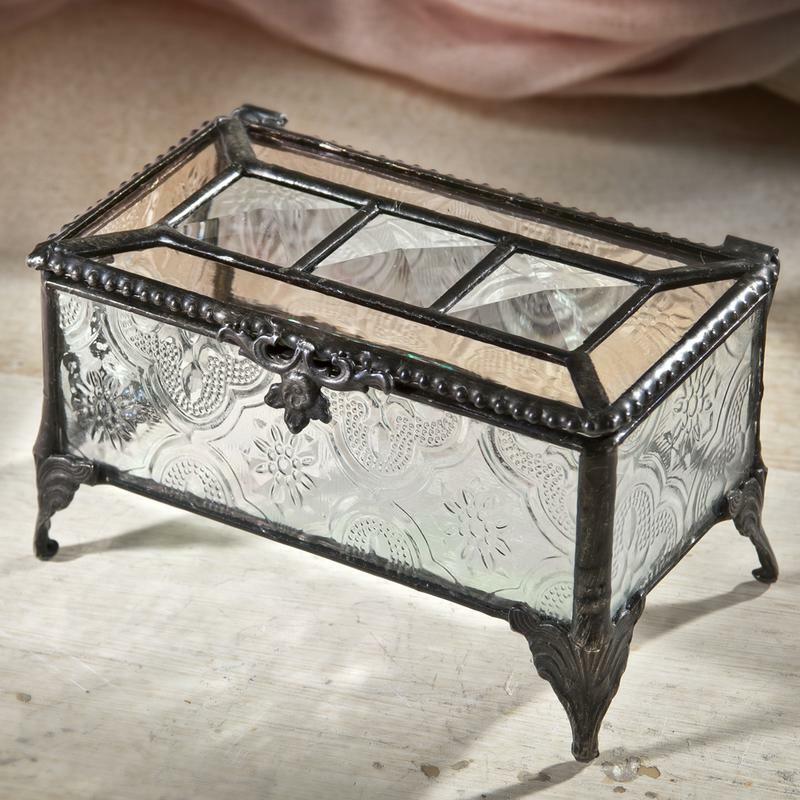 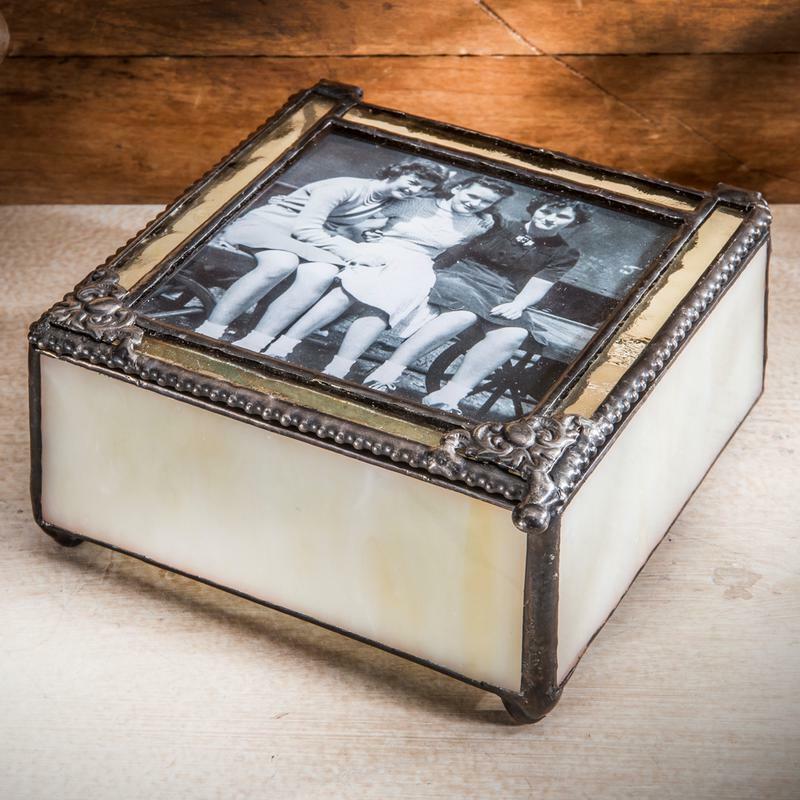 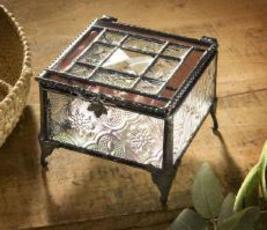 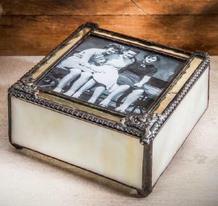 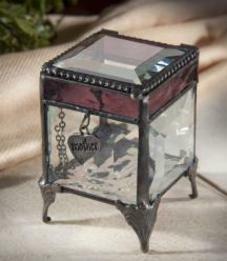 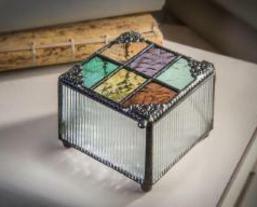 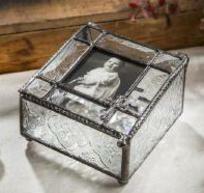 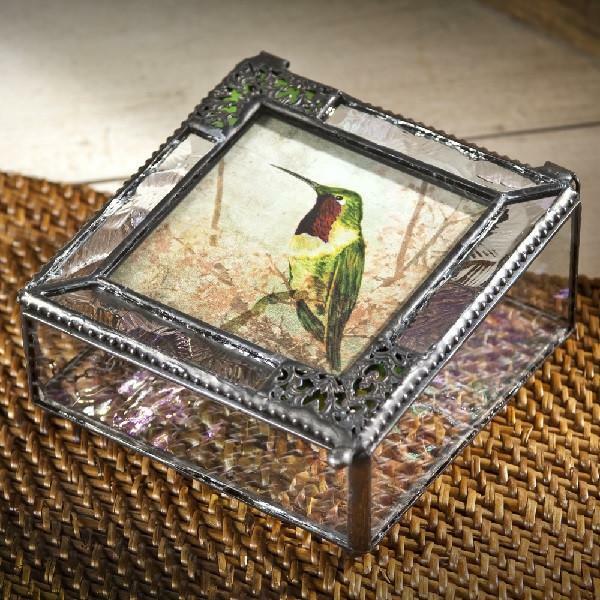 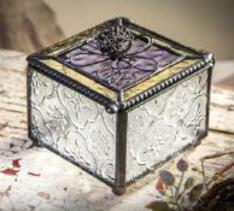 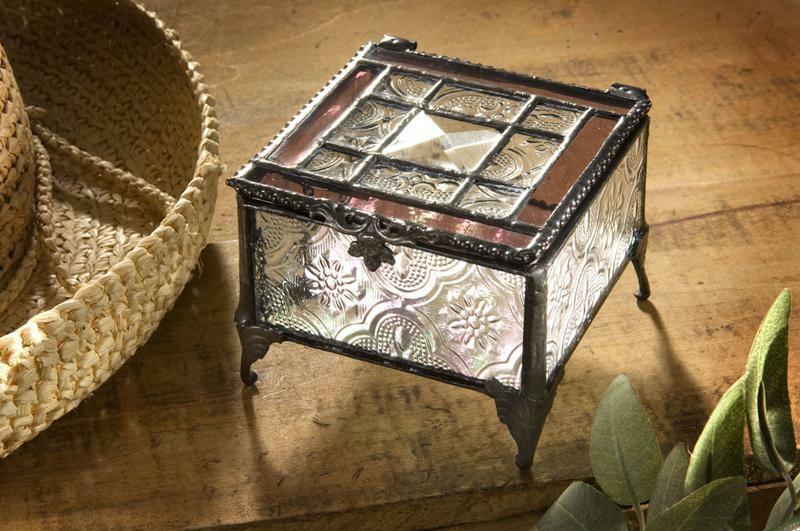 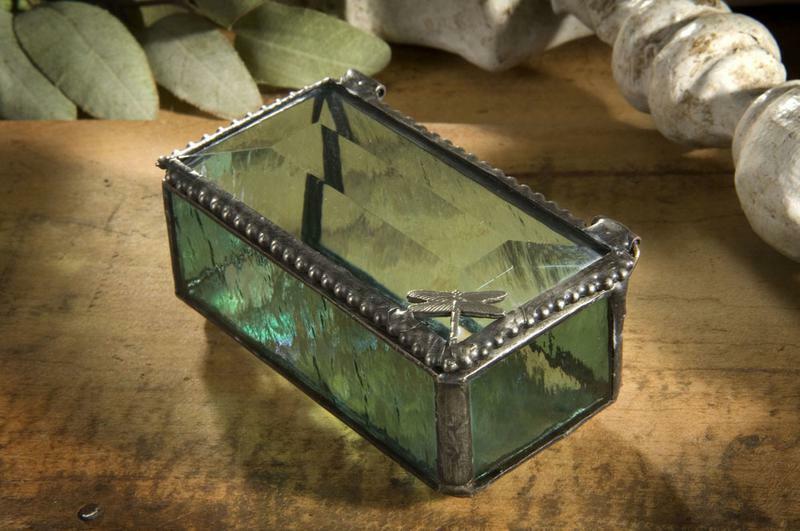 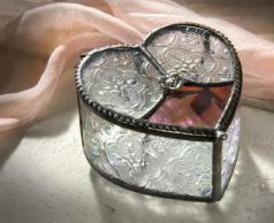 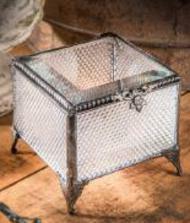 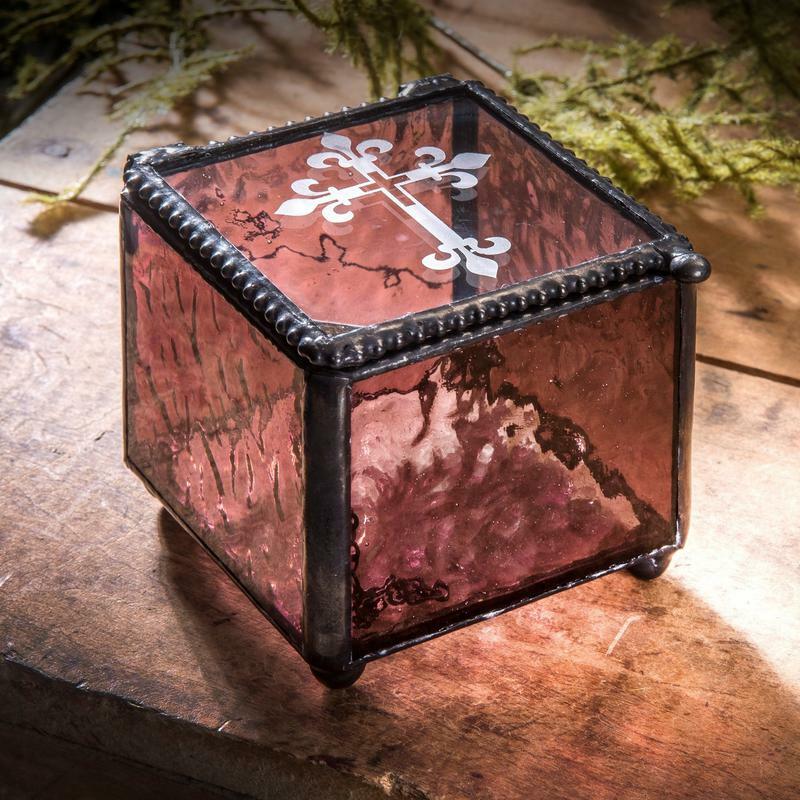 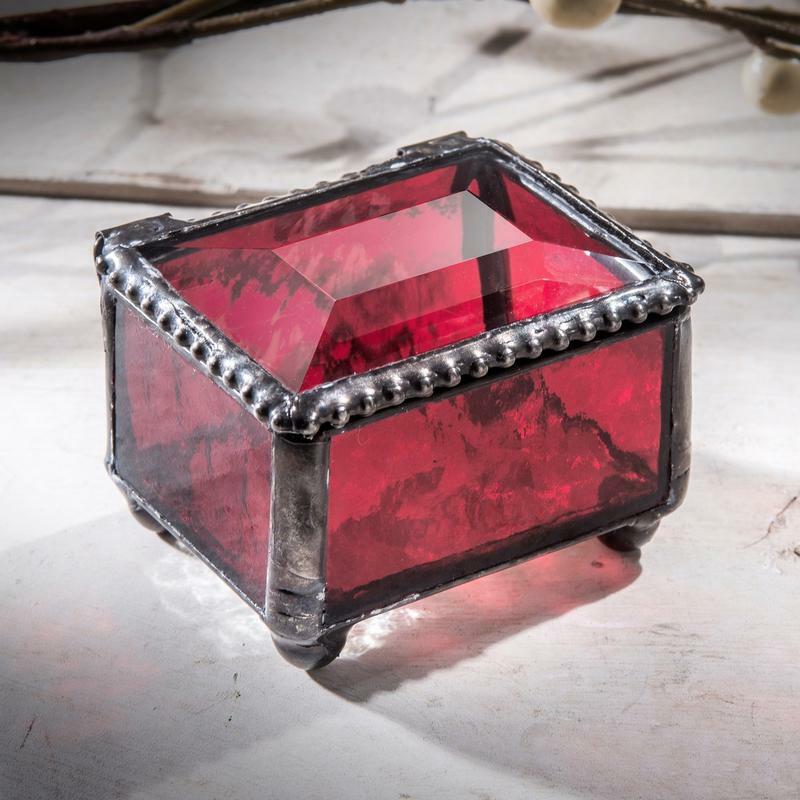 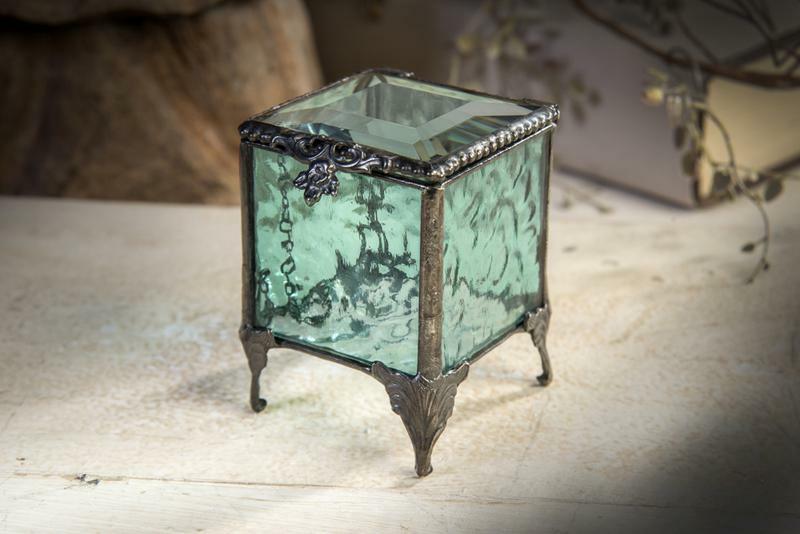 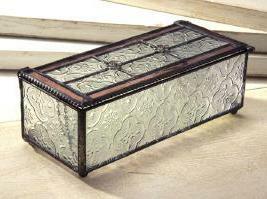 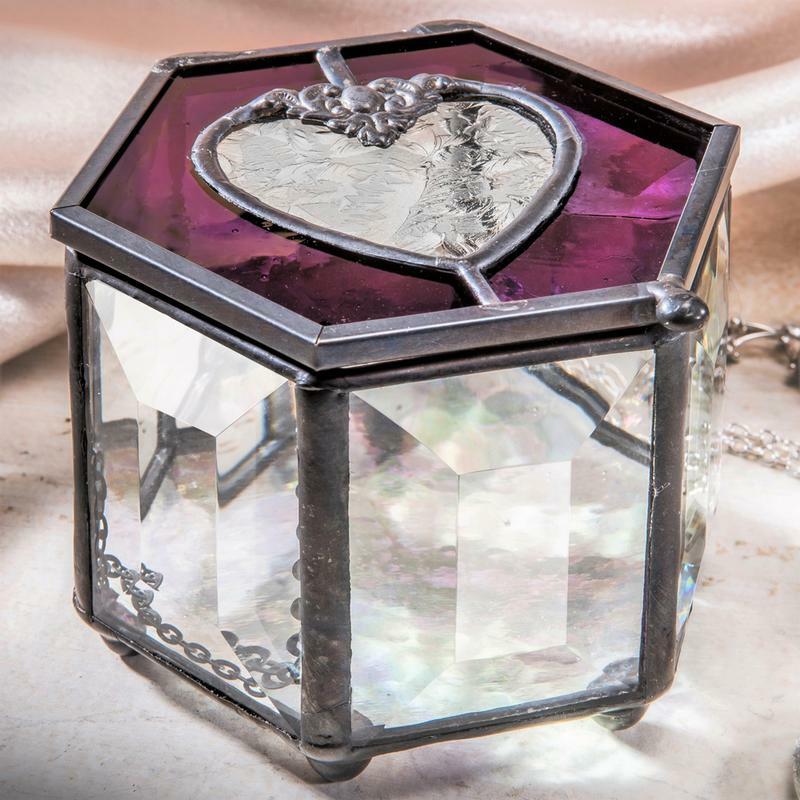 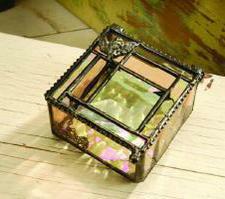 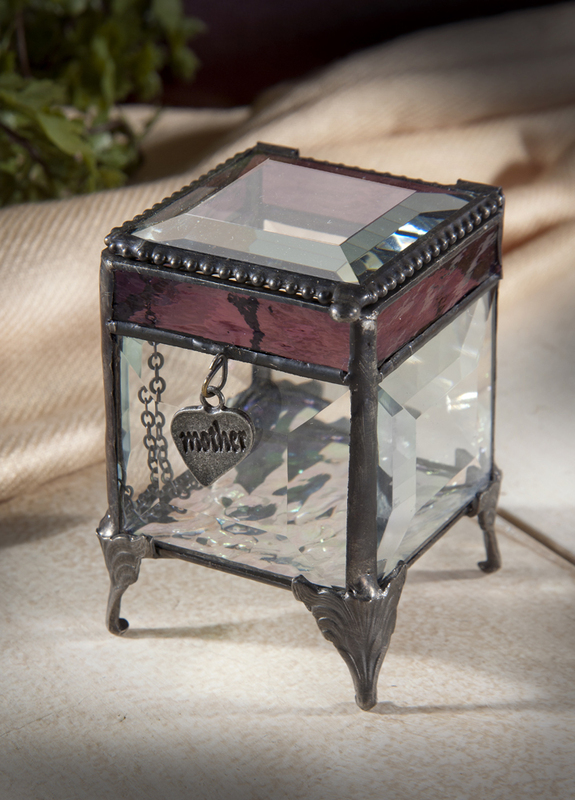 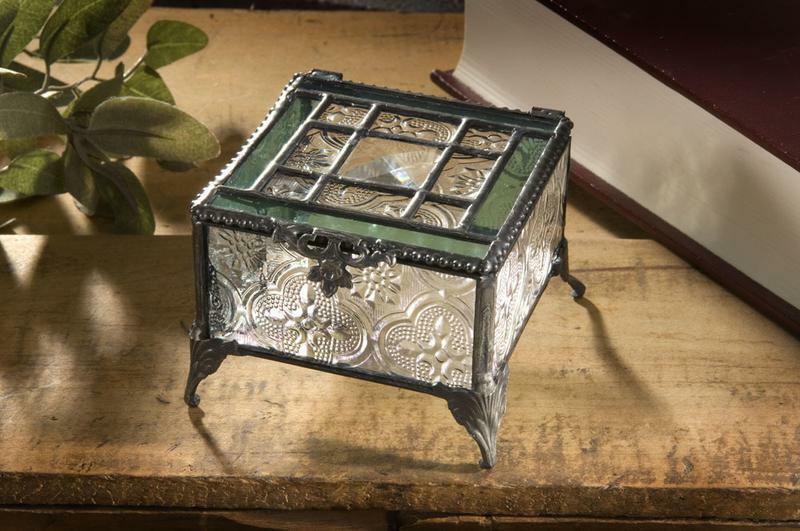 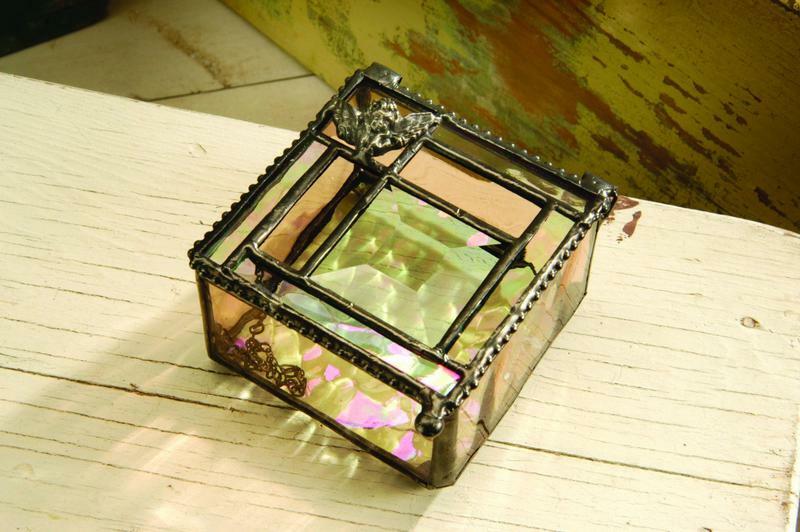 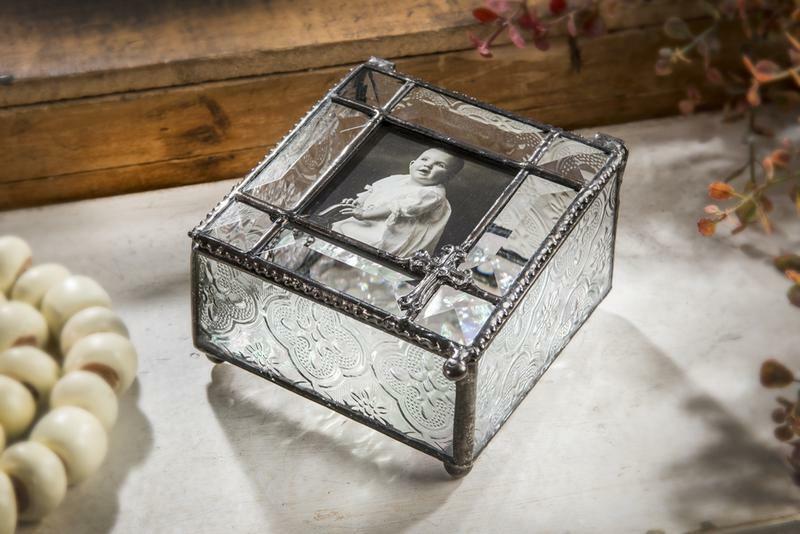 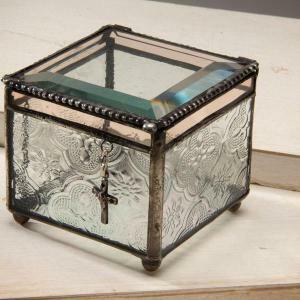 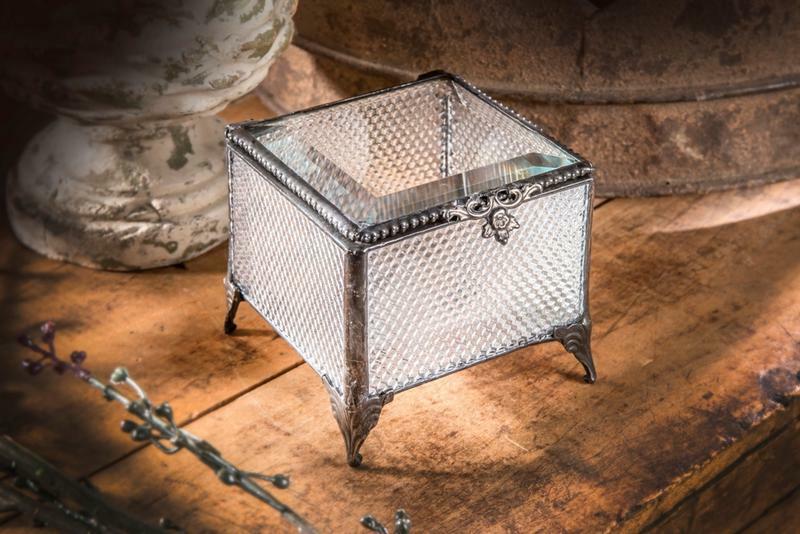 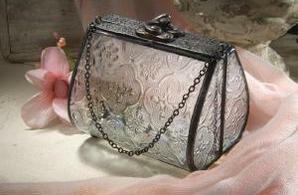 Keep your beloveds Ashes, trinkets, jewelry, and keepsakes in one of these beautiful Stained Glass Boxes by J. Devlin. 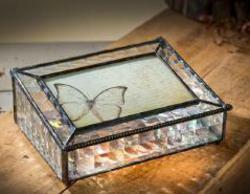 Choose from clear glass to brilliant stained glass pieces. 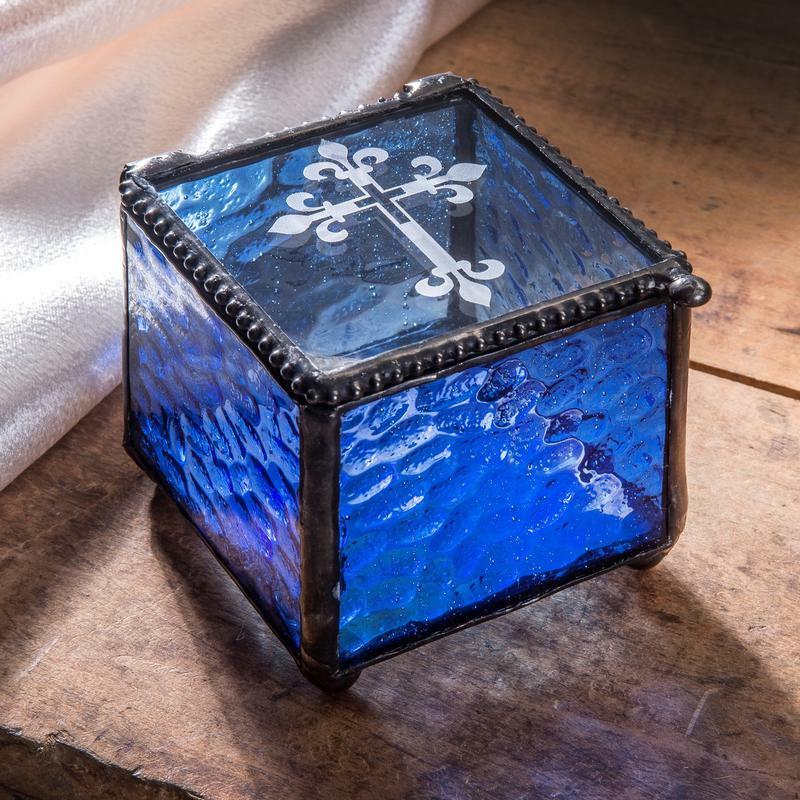 Originally produced in the 1900s in England, English muffle glass is being produced now and is being used in restoration and contemporary stained glass designs. 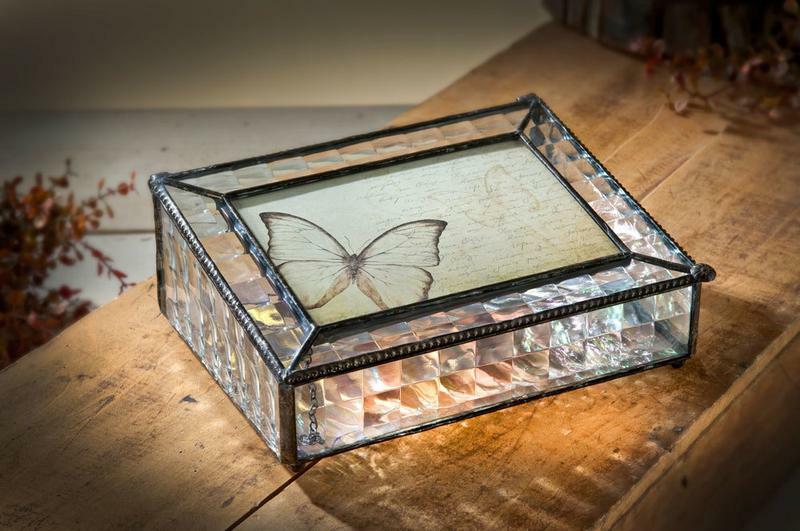 Because of it's textured and muted-toned glass effects, Muffle glass gives a sense of history and classic art design. 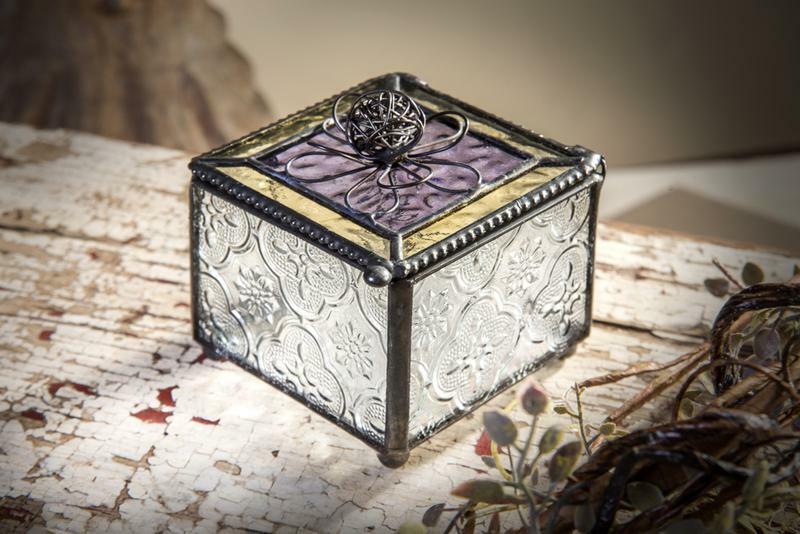 2 1/4" x 2 1/2" x 2"
2 1/8" x 2 1/2" x 2"
Dragonfly Sycamore 3 1/2"x 3 1/2"x2 1/4"
Blue or Red Cross Keepsake Box- 2 1/8" x 2 1/2" x 2"
Charm boxes come with the charm. 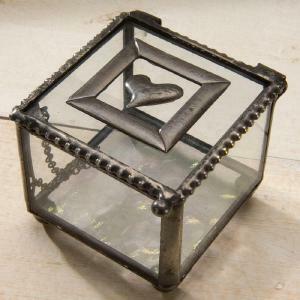 Please select the charm below. 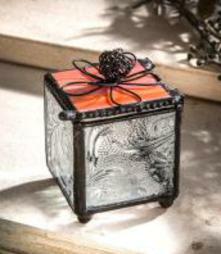 6" round x 2 1/4"
Wire Flower Box Color Orange 2"x2"
Size: 3 1/2"x3 1/2"x2 1/4"